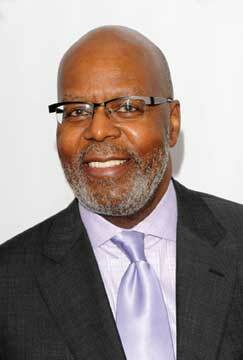 Just who are the most successful black producers in Hollywood? Well, according to the Producers Guild of America they are engaged in decision-making functions, script revisions, and casting decisions, among other things. Other criteria: individuals had to have produced five or more films; at least three of those titles had to have generated at least $50 million at the box office and rank among the top 100 highest grossing films during the year of their theatrical release. By Hollywood standards, a film’s worth is based on its box office returns. So, the top 10 are ranked by lifetime cumulative gross box office receipts worldwide. For example: “Think Like a Man” was a breakout hit in 2012. It recorded $96.1 million in box office receipts worldwide on a production budget of $12 million. In fact, it was No. 1 at the box office for two weekends–a sweet spot for a film with a predominantly African American cast and produced by African American power brokers Will Packer and Rob Hardy of Rainforest Films. Regardless of that recent box office triumph, getting a film produced and distributed is difficult. The harsh reality is no one African American has the power to green-light a film. Another somber truth is that African American filmmakers face smaller production budgets, receiving around $10 million to $12 million whereas the average cost of a major movie studio film is more than $90 million. 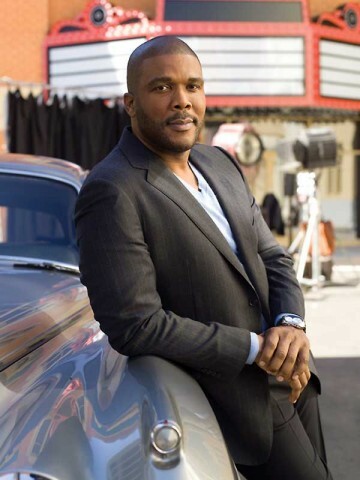 Even entertainment powerhouse Tyler Perry still needs the go-ahead from Lionsgate to get his next movie made, although his films are a bankable $50 million-plus on average, says Darrell D. Miller, a partner at Fox Rothschild L.L.P. and chair of the Entertainment Law Department. Still, Perry arguably has the most leverage of any one writer-director-producer can muster in Hollywood, says Miller. And a number of other African Americans filmmakers are getting projects made with the stamp of approval from Hollywood executives and are generating box office hits often through movies that have crossover appeal and translate well for international markets. Here is the list of established black producers who are killing it at the box office and some newer faces of Hollywood making great inroads. Will Packer has been a Hollywood mover and shaker with cult films such as Trois and hits like Stomp the Yard. He landed diva Beyonce Knowles for the femme fatale thriller Obsessed, and culled a star-studded cast that included Paul Walker and Zoe Saldana for the crime story Takers. Packer is at the top of his game with the hit Think Like a Man, featuring an ensemble cast led by funnyman Kevin Hart. The movie adaptation of Steve Harvey’s best-selling relationship book, Act Like a Lady, Think Like a Man, ranks among the 25 highest-grossing films of 2012–pulling down $96.1 million worldwide. The key to success, he says, is building solid relationships, which includes knowing how to sell to talent, financiers, and distributors. Up next: No Good Deed, and a remake of About Last Night. Hip-hop luminaries have transcended the sound booth to become marquee favorites, but O’Shea “Ice Cube” Jackson is a rapper turned actor-producer with Hollywood staying power. While best known for creating his widely popular Friday trilogy, Jackson wanted to give younger fans family-friendly movies. The devoted husband and father of four produced “Are We There Yet?”, which critics panned but went on to gross $97.9 million worldwide in box office receipts. The sequel, “Are We Done Yet?”, grossed $58.4 million worldwide. The franchise spawned the TBS television series “Are We There Yet?”, with Jackson serving as the show’s executive producer. Next up: another installment of the Friday series, and “Eye for an Eye,” a TV series developed with FX about a paramedic seeking vengeance. Not long after her Oscar and Emmy nods for the documentary “Hank Aaron: Chasing the Dream,” Debra Martin Chase became the first African American woman to have a solo deal at a major studio: Martin Chase Productions, which is affiliated with the Walt Disney Co. The Harvard-educated attorney’s breakout film was “The Princess Diaries,” which grossed $165.3 million worldwide in box office receipts. 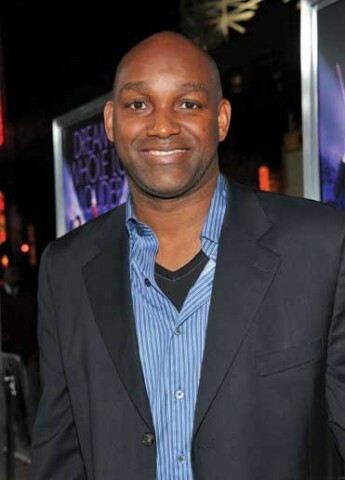 Chase executive produced one of the most successful films in the Disney Channel’s history, “The Cheetah Girls.” She also produced such urban films as the remake of “Sparkle” and “Just Wright” starring Queen Latifah, and ABC recently formalized its long-standing relationship with Martin Chase that dates back to 1997’s “Cinderella,” co-starring singers Brandy and the late Whitney Houston. Next up: working to develop series for ABC. Last year, he split with Perry to reactivate his production company, Reuben Cannon Entertainment. RCE has a strategic relationship with Open Road, a distributor that is a joint venture between AMC and Regal theaters. Since 2000, Martin Lawrence has been riding the Big Momma’s House franchise all the way to the bank. All three installments, which credit Lawrence as a producer, were made for under $45 million, but collectively grossed nearly $395 million worldwide. 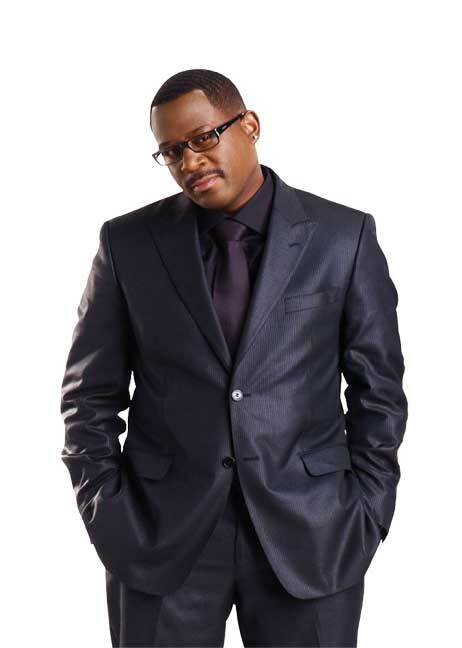 His” Martin Lawrence Live: Runteldat” holds the fourth spot among the highest-grossing stand-up comedy concert films. It grossed nearly $20 million at the box office. 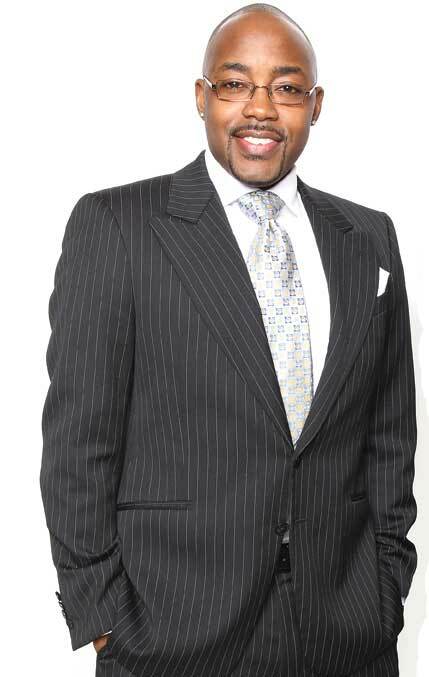 As executive producer and writer, Lawrence pushed the envelope with his groundbreaking Fox TV sitcom “Martin.” In 2010, Lawrence executive produced the TV One show “Love That Girl!” In the works is a new television comedy series. Behind the scenes, Brooklyn-born comic Eddie Murphy has written and produced such films as “Norbit.” Most recentl,y he joined the production end on the comedy caper “Tower Heist.” No stranger to setting historical records, Murphy’s 1987 stand-up comedy film “Raw,” which he co-wrote and executive produced, grossed more than $50 million. It remains the No. 1 box office comedy concert theatrical release to date. A cultural icon and comedic pioneer, Murphy also has conjured up silver screen magic by penning the stories for such films as “Boomerang” and “Beverly Hills Cop II.” Up next: Murphy is revamping his unique brand of humor with a “Beverly Hills Cop” television show. Tyler Perry built a multi-million-dollar brand by speaking to an urban audience often ignored in Hollywood. Perry made his foray into films transposing many of his straight-to-DVD stage productions into screen gems. Perry writes, produces, directs, and acts in most of his productions–cementing him as one of Hollywood’s most bankable talents. The $50.7 million box office success of his 2005 debut “Diary of a Mad Black Woman” secured a lucrative first-look, multi-year distribution partnership with Lionsgate. Perry’s success extends to the small screen with TBS, producing and directing three original series. Up next: The powerhouse reunites with mentor-friend and media mogul Oprah Winfrey (the two co-produced the film “Precious”) for a multi-year partnership to produce, write, and direct the first scripted content for OWN. A family that creates together stays together. It’s a philosophy that has allowed writer-director-producer Keenen Ivory Wayans and his younger siblings to establish an entertainment dynasty in Hollywood. It was the Wayans brothers who gave birth to one of Tinseltown’s hottest franchises–the Scary Movie horror parody films. Marlon and Shawn penned the screenplay for “Scary Movie” and “Scary Movie 2,” while Keenen directed both films. “Scary Movie” topped $278 million worldwide at the box office on a $19 million budget, while the second installment, with Marlon and Shawn credited as co-executive producers, grossed $141.2 million worldwide. The Wayans brothers also wrote, produced, and directed the buddy cop comedy “White Chicks,” a $113.1 million box office hit that was made on a $37 million budget. Collectively, the Wayans trio has grossed close to $750 million worldwide at the box office. As the family’s artistic patriarch, Keenen set the family filmmaking wheels in motion. His visibility rose after hooking up with comedian Eddie Murphy, earning writing and producing credits on Murphy’s 1987 live concert feature, “Raw.” Partnering with actor-director Robert Townsend, Wayans scored his first feature film hit as a screenwriter with “Hollywood Shuffle” that same year, followed by the blaxploitation parody “I’m Gonna Git You Sucka,” which also marked his directorial debut. But it was the Emmy Award-winning 1990 sketch comedy and variety show “In Living Color,” which ran for four years on Fox that brought big brother Wayans national prominence. Making it a family affair seemed only right with siblings Damon, Kim, Shawn, and Marlon joining the ensemble cast. The younger Wayans’ breakthrough film was “Don’t Be a Menace to South Central While Drinking Your Juice in the Hood,” which Marlon and Shawn penned, produced, and starred in. 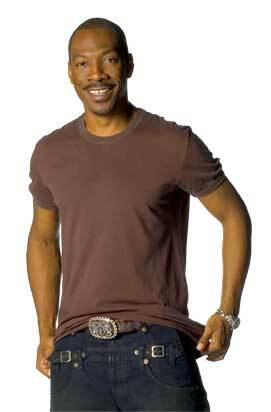 The duo also created “The Wayans Bros.” sitcom, which ran for four years on the WB network. “When we did ‘Scary Movie’ and ‘Don’t Be a Menace,’ [Keenen] made us keep rewriting until we got it right. He groomed us to be beasts. You have to be a force of nature in this business and I’m prepared to do that,” says Marlon, adding that his latest film shows his maturity as a writer and producer. The youngest member of the Wayans clan is flying solo these days. Marlon’s independently produced horror comedy “A Haunted House,” a send-up of the Paranormal Activity film franchise, opens in theaters next month. It was the sleeper hit The Blind Side that capitulated Broderick Johnson into the spotlight. The film was backed with a $29 million production budget and grossed more than $300 million worldwide, making it one of the most successful sports dramas in film history. The film’s Oscar nomination for Best Picture made Johnson just the third African American producer to earn an Academy Award nod in this category. 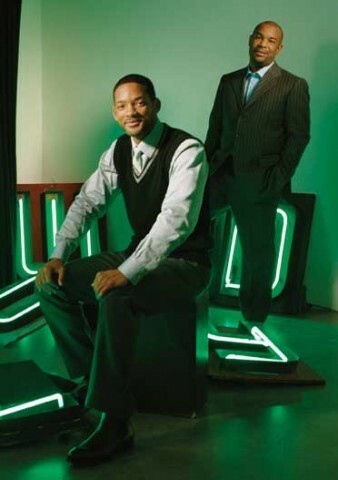 Over the past 14 years, James Lassiter and Will Smith have left their golden imprint on a diverse slate of critically acclaimed and blockbuster feature films. Their extraordinary hit list includes “I Am Legend,” “Hancock,” and “The Karate Kid” remake, which grossed more than $359.1 million worldwide. Smith, a two-time Academy Award nominee, also continues to reap the rewards of his close to $3 billion box office draw. While most of Overbrook’s films are not “black-themed,” it has produced racial and culturally sensitive films such as “The Pursuit of Happyness,” “The Secret Lives of Bees,” and “Lakeview Terrace.” Additionally, Overbrook produced the television series “All of Us,” which ran for four years on UPN and the CW. Next up: sci-fi adventure “After Earth,: co-starring Jaden Smith and directed by M. Night Shyamalan. The post 10 of the Most Successful Black Producers in Hollywood appeared first on Black Enterprise. ← Millennials Could Make a Big Difference in the Midterm Elections. But Will They Vote?